Last weekend I was presented with the challenge of baking gluten free cakes. This is something I’ve never come across before but when the boyfriend invited me along to a BBQ with some of his new uni friends and, me being me, I said I’d make something to bring along, he told me anything I made had to be gluten free. So I thought… Hmmm… New challenge, and got around to researching recipes and the different things you can use as a flour substitute. One of the most basic things you can do is just buy gluten free flour, but in this recipe I’ve used ground almonds. 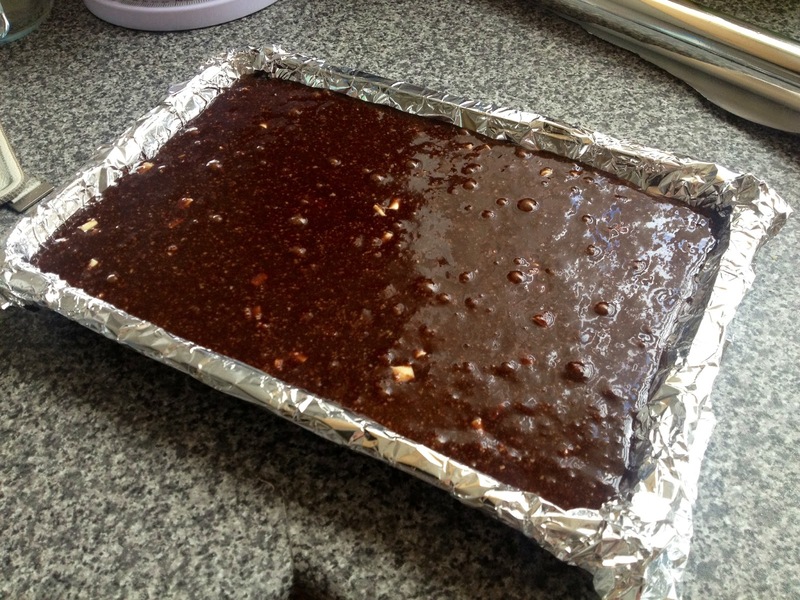 Firstly because I was curious to see how it’d work and secondly because I quite like almonds and thought it might give the brownies a nice flavour. These brownies came out VERY gloopy and sticky… Which is no bad thing, but I’m guessing this is because the ground almonds don’t absorb as much of the moisture in the mixture as flour would. These would be amazing served fresh from the oven with ice cream. If you’re not fussed about being gluten free you can just use ordinary plain flour for this recipe instead of ground almonds. 1. Preheat the oven to 170°C and line a tin with greaseproof paper or foil. 2. 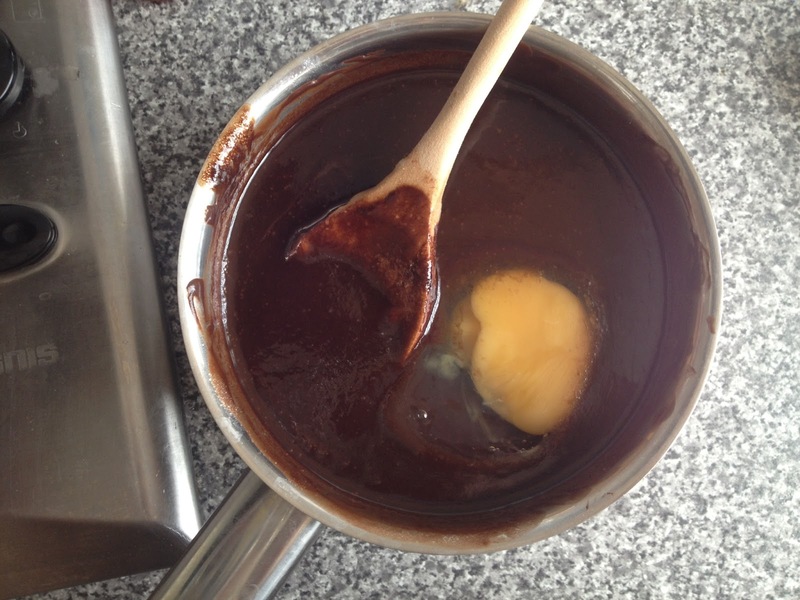 In a large saucepan on a low heat melt together the butter and the dark chocolate until smooth and shiny. 3. 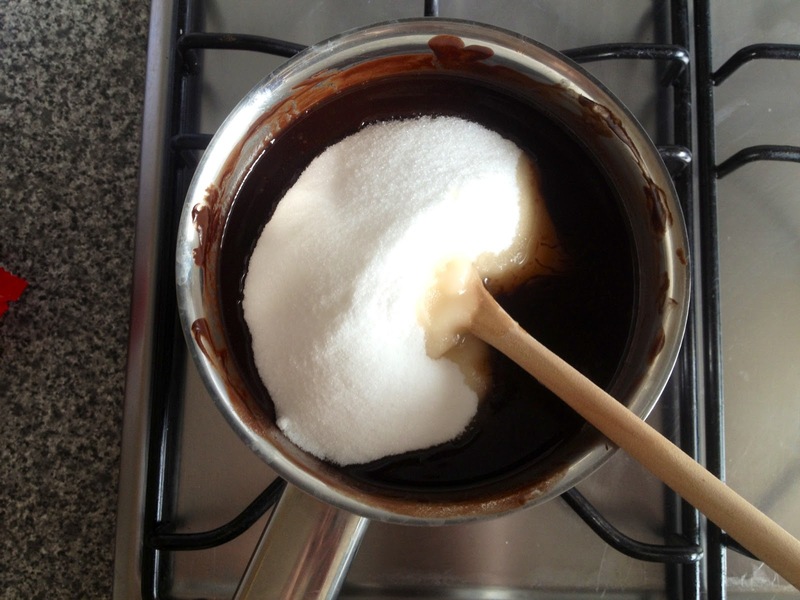 Remove from the heat and stir in the sugar and vanilla extract. Leave to cool for 15 minutes. 4. 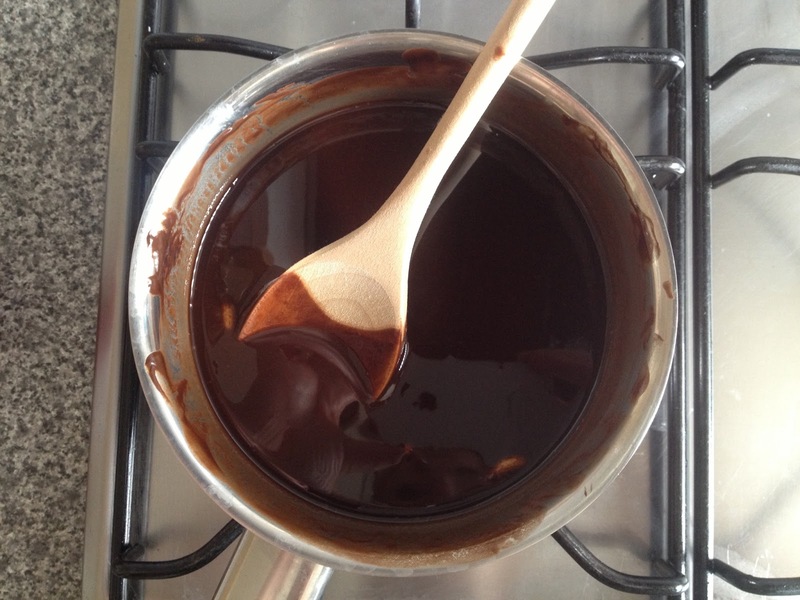 When the chocolate mixture has completely cooled stir in the eggs one at a time. If you do this too soon while the mixture is still hot, the heat will cook the eggs and they’ll scramble. 5. Add the ground almonds and stir until the mixture has thickened. 6. 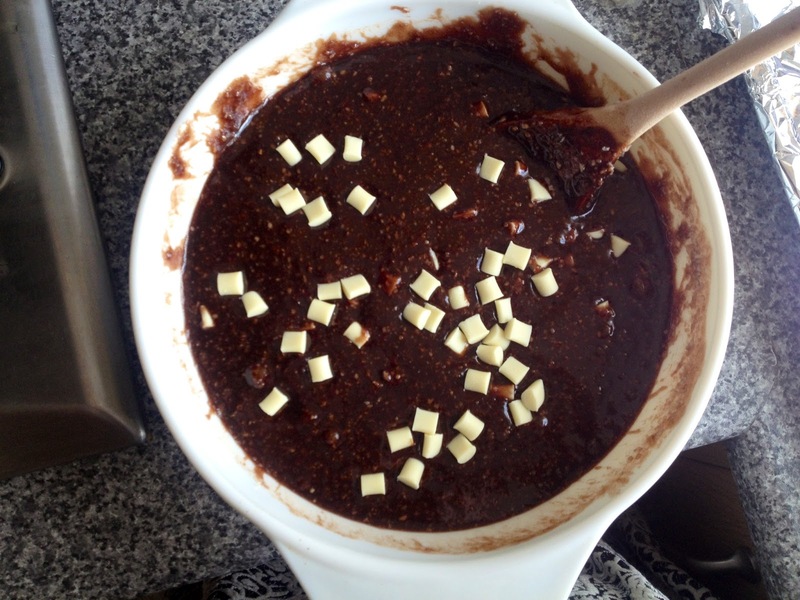 Add the chocolate chunks and fold through until they’re evenly spread throughout the mixture. 7. 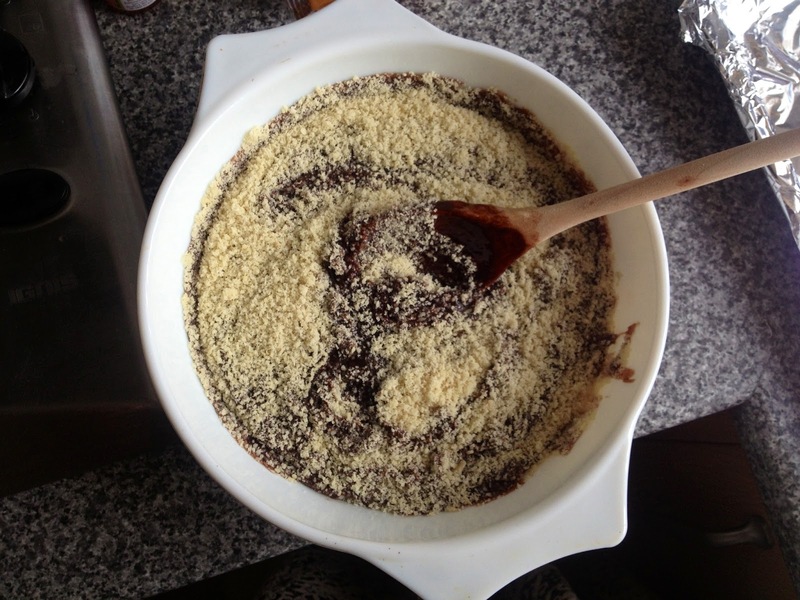 Pour the mixture into your lined tray, ensure it spreads out evenly and bake in the oven for 30 minutes. 9. 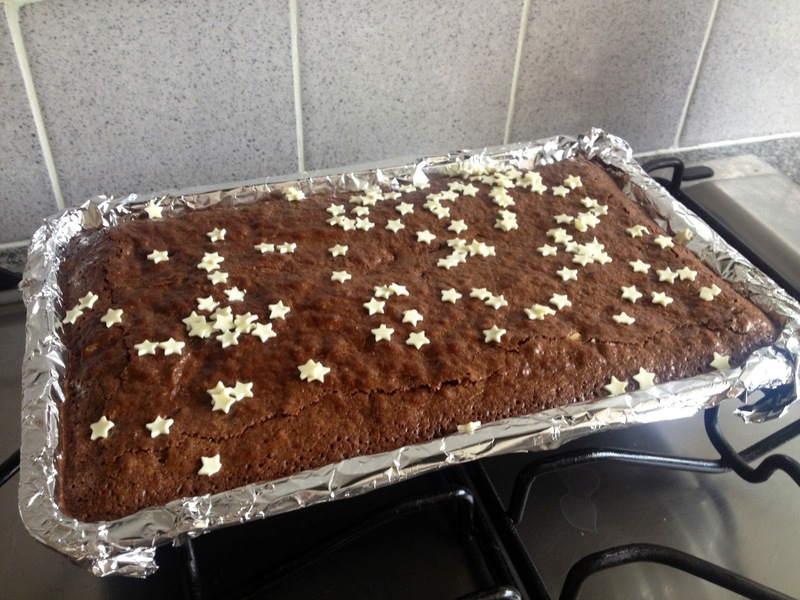 Decorate however you wish, I’ve used these adorable little white chocolate stars, but a dusting of icing sugar is usually enough to make any brownie look pretty damn good (I did this with my chocolate & hazelnut ones). 10. Remove from the foil and cut into squares to serve.